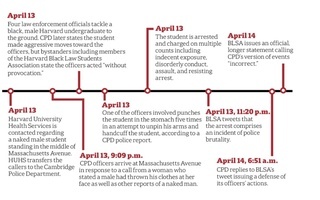 Last Friday night, a black Harvard College student was arrested after a physical confrontation with law enforcement. 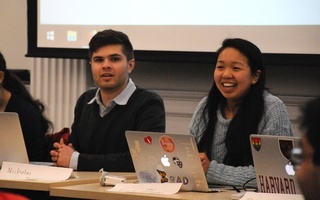 In the hours that followed, the Cambridge Police Department announced it would conduct an “internal review” of the events that transpired, as is their policy. This may seem like a good first step, but in light of the seriousness of the incident, which the Harvard Black Law Students Association has described as police brutality, it is worth observing how the department has previously handled similar cases. The police department has argued that the violence perpetrated by their officers Friday night was necessary. This was also their tactic barely more than a year ago in Nov. 2016, when a CPD officer used pepper spray on a crowd of hundreds of students at the CambridgeSide Galleria to see the rapper Desiigner and Celtics player Jaylen Brown. A statement from the department reported that the event had turned chaotic and that the spray was “used by police to manage and disperse the crowd inside the mall after the crowds grew more aggressive.” However, a volunteer working at the event disputed this account, stating “[t]here was no mayhem before that. [An officer] sprayed, and it sprayed everybody in front of her. 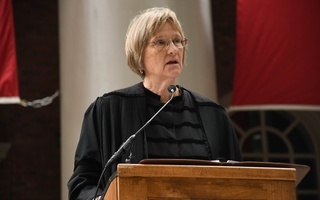 Everybody in front of her just scattered.” But the department’s justification implied its officers had something to fear from the crowd, which included many young Cambridge residents of color. Accounts of the event indicated that the opposite was true; the only reported injuries requiring medical care were the result of pepper spray. Even then, the department admitted no wrongdoing in the use of non-lethal force on members of the crowd. And people shook their heads in disappointment, and nothing meaningful seemed to change. The department could continue to portray people who experience and witness the excessive use of force as criminals. This was their tactic 18 months ago, when they pursued charges against 20-year-old Cleon A. Hodge after an altercation with plainclothes CPD officer Thomas Ahern. In an eerie similarity to Friday’s incident, Ahern wrote in his police report that Hodge’s “hands were clenched into fists ... which I interpreted as a pre-assault cue.” Ahern is seen on video of the incident telling the person filming the scene, “Get away from me. You’re going to be under arrest in two seconds.” The department initially chose to pursue assault and battery charges against this witness, even though the only violent physical contact shown on the video between the two appears to be Ahern knocking the camera away. 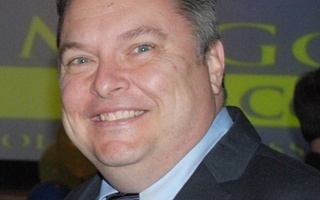 The department admitted no wrongdoing in the altercation or the subversion of attempts to document it, although it eventually dropped all charges; the internal investigation considered Ahern’s actions “consistent with his duty obligations.” And people shook their heads in disappointment, and nothing meaningful seemed to change. This statement reveals a fundamental disconnection between the CPD and many of the communities that it serves. “[L]istening, engaging, and integrating” is an essential first step for community policing. 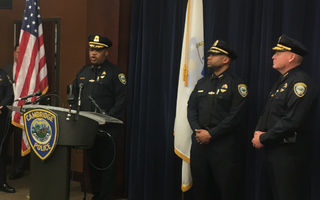 Indeed, many of the department’s programs deserve credit in this regard, from Homeless Outreach officers, who connect people experiencing homelessness in Cambridge to needed resources, to Youth Resource Officers, who work to interrupt the school-to-prison pipeline in Cambridge. But no number of community resource initiatives can build meaningful trust when the basis of that trust is shredded by police violence and the regular use of excessive force. A statement from Mayor Marc C. McGovern on the incident Friday stated that “[p]olicing in Cambridge is far ahead of many communities in the country, and yet we can always strive to do better.” The multiple incidents we have seen in the past decade challenge this statement, and even if it is true, it is not the appropriate rubric to measure where the city stands on this issue when there are sky-high rates of police violence nationwide and substantial racial disparities in them. The playbook for Cambridge’s response to Friday’s events will be predictable because Cambridge police have used excessive force on people of color before. It is a threat to the safety of many people who live, work, study, and find entertainment in this city. This pattern was not interrupted when President Barack Obama stated that Cambridge police had “acted stupidly” in the mistaken arrest of African and African American Studies Professor Henry Louis Gates, Jr. on his own doorstep in 2009, or in the aftermath of any of the other incidents in the decade since. If the city hopes to end the systemic use of force against individuals of color, it’s increasingly clear that automatic internal reviews won’t be enough, regardless of what this one finds. And if people who live in Cambridge, whether for four years or a lifetime, want to move beyond disappointment and toward change, we need to demand meaningful action from our local government. Will H. MacArthur ’20 is a Social Studies concentrator living in Currier House. His column appears on alternate Wednesdays.